Yes! Finally, it’s a Gold for us! 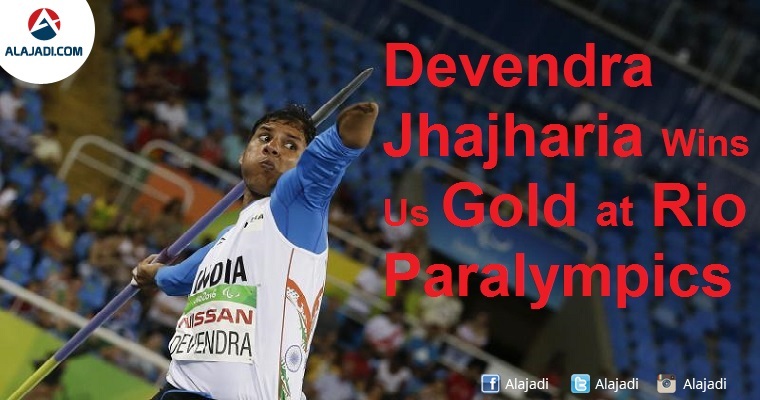 Devendra Jhajharia has won gold in the men’s javelin throw F46 event at the Rio Paralympics on Tuesday. He became the first Indian to clinch two gold medals at the Paralympics after he broke his own world record to clinch the top honors at the Rio Games here. 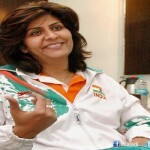 Devendra Jhajharia was on born 10 June 1981 is an Indian Paralympic javelin thrower competing in F46 events. At the age of eight, while climbing a tree he touched a live electric cable. He received medical attention but the doctors were forced to amputate his left hand. Before, he won his previous gold in the 2004 Athens Games, bettered his own world record to finish on top in the men’s F46 event. Again, now he breaks his own record itself. Jhajharia created a new World Record by throwing 63.97 in his third attempt, thereby breaking his own previous record of 62.15 meters. Devendra is currently being supported by the GoSports Foundation through the Para Champions Programme.